Since 1980, we’ve been working with fine folks right here in Savannah. We are a family-owned dealership, and that shines through when a customer comes through our doors. We are more interested in you and your family than we are in making a quick sale. This simple attention to detail has allowed us to help customers in Savannah, GA and other areas like Hilton Head, Hinesville, Richmond Hill, Brunswick, and more over our decades of service, and we look forward to helping many more in the decades to come. At Fairway Mazda, we take pride in our location right here in Savannah. We love being a part of this community, and we even go above and beyond the call of duty to make Savannah a better place to live and grow up in. We are members of the local Chamber of Commerce, we are actively involved with Hole-in-One, and we even work with AMBUCS, which builds special bicycles for children who are unable to operate a traditional bike. Mazda is not like other car brands. From their exterior designs, to their internal engineering, Mazda is something different. You can tell as soon as that engine starts up and you start driving down the road. Many brands rely on their salespeople to sell cars, but not Mazda. The best sales tool that Mazda has in their arsenal is the test drive. Once you take your first curve, you are sure to fall in love. See for yourself at Fairway Mazda. We have the inventory that you need to try, and the Mazda models that you will fall in love with. 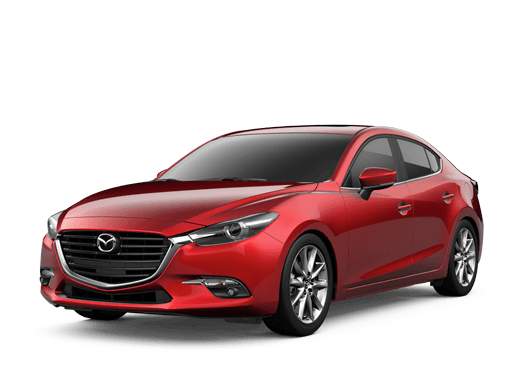 Not only do we have wonderful models like the Mazda3, Mazda6, Mazda CX-5, and more, but we also have an extensive selection of used vehicles. Of course, we have several pre-owned Mazda models on offer, but we also strive to maintain a unique variety of other models from other brands as well. When you come to Fairway Mazda, you can always count on having a wide variety of quality options. Fairway Mazda: Providing Savannah the very best for decades!